Summary: Blocklogy, an e-learning app for blockchain, offers a range of courses according to the knowledge level of students. Here're all blockchain courses you can join on the Blocklogy platform. Blocklogy is a blockchain e-learning app developed by KMPARDS to help students learn the blockchain concepts and programming to become an expert in it. The app offers multiple courses divided into three broad categories - Basic, Intermediate, and Expert - to suit the skills of different levels in the blockchain education. 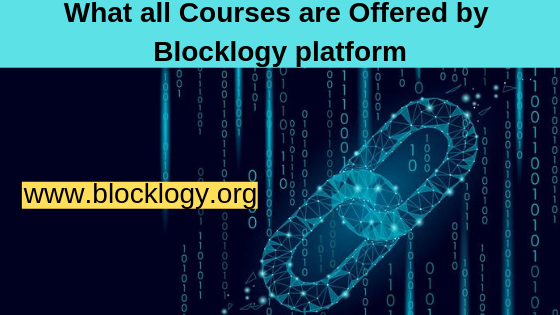 The following courses are offered by the Blocklogy platform.